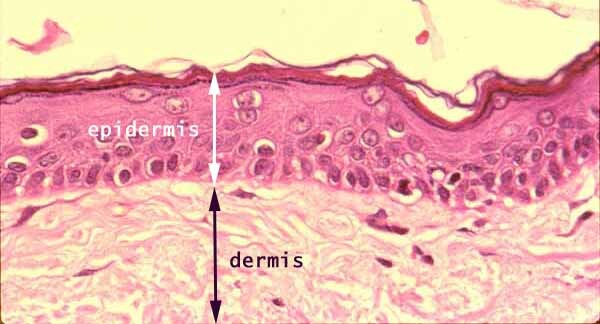 The epidermis consists primarily of keratinocytes. The dermis consists primarily of extracellular collagen fibers (pink), ground substance (pale background color), and fibroblasts. To view an enlargment of this region, with more labels, click here or on the thumbnail at right. To view this region in a larger context (low magnification) click here or on the thumbnail at left.